I'm too boring for the press. Almost two years ago, a major business newspaper wanted to know how I invested. They were ready to send a photographer. In preparation, I drafted responses to the proposed questions. Unfortunately, my investment advice was too boring to publish. I turned the answers into a blog post: How an actuary invests. You can judge whether it's safe to operate heavy machinery after reading it. What's too dull for a national newspaper works fine on a blog. That's not because you like getting bored: escape is a click away. It's because readers are a self-selected niche. Isn't that exactly what you want? You don't need anyone's help or permission. In my very first media interview years ago, I got quoted out of context. This made better reading but left me scarred. The journalist knew of my inexperience and used it against me. I'm glad I didn't buy 100 copies. After that, I refused most interview requests. Once, my company asked for the questions in advance, recorded the interview and had a PR specialist standing by. That went well. I then agreed to answer questions by email and had the replies reviewed by a communications specialist. Practice in presenting and answering audience questions restored my confidence. I wasn't spontaneous until this year when Monty Loree interviewed me for the Canadian Money Advisor podcast. The topic was The Four Hour Work-week (part 1, part 2). Today I'm doing my first live unrehearsed interview since that bad initial experience. This is for a national trade publication, which reduces the risk of misquotes. If I'm interesting enough to get published (may not be until the fall), I'll post the link. Doesn't that look interesting to you? I'd certainly want to find out. I don't have a press kit or know many journalists. How did the media find me? Via a Google search for keywords. There are probably people looking for you too. Can they find you? We usually master HOW first. Many stop there, content to do "factory work" at the direction of those who know WHY. That's fine. Both roles matter. Neither is more important than the other. Together they create a team. Toy Story 3 is put together with such wonderful care and attention that praise has been almost universal. Have you seen the amazing Toy Story 3? It's practically perfect on many levels. Here's a trailer (with no real spoilers). 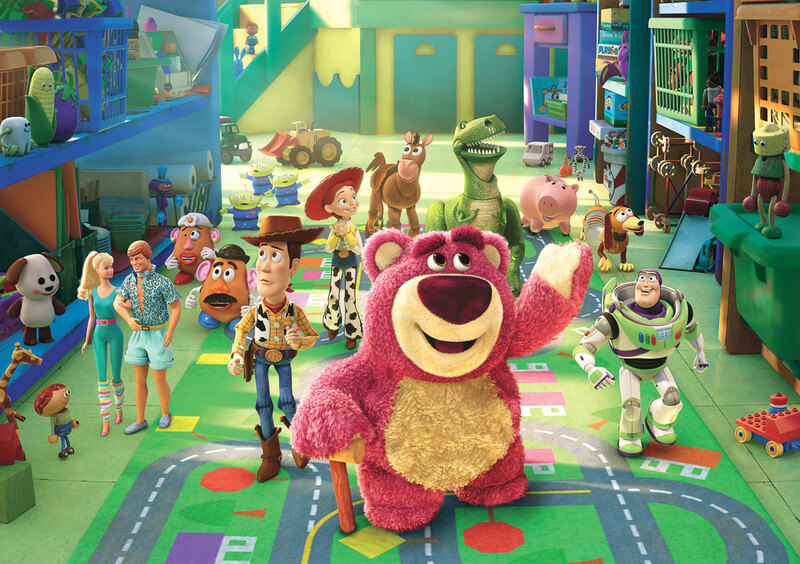 There's a great article in Wired: Animating a blockbuster: how Pixar built Toy Story 3. Rarely do sequels maintain the magic of originals. Most first films aren't original either. Look at The A-Team, Iron Man, The Losers, Green Zone, Cop Out and The Book of Eli. They help pass the time and lighten our wallets. The ongoing collaboration works very well. Look at the gaps in the films yet their success. You have a team too. The size varies with what you ship. It consists of your suppliers and colleagues (internal and external). Do you have the right people or are you stuck with decisions made by others? Your answers affect what you deliver, your attitudes and your happiness. Our connections play such a crucial role. It's hard to believe, but even obesity is contagious. That's an example of bad influences. Toy Story 3 shows the magic of the right team. PS If you haven't seen the Toy Story series lately, do. If you feel guilty, invite a child and pretend you're treating them. There are lots of cherry farms (in the places that cherries grow). The fruit is identical. The prices are the same. The colour of the red barns is indistinguishable. If you were the farmer, how would you get people to pick your farm? This weekend I went to a cherry farm (Cherry Avenue Farms) for the first time since high school. We passed many other farms on the route to our choice. The driving for the round trip took three hours. Even if the fruit were free, we'd have saved money at the grocery store or local farmers market. There were 34 buses scheduled that day. The facilities were equipped to accommodate them. The website has an intriguing story. The farm was established in 1799 and the seventh generation runs it on the original 100 acres. Content is up-to-date, which means you don't need to phone to see what fruit is available or the prices. Given the volume of cars and buses, parking could have been horrible. Ample staff directed cars to vacant spots with barricades between rows. We parked on grass. A larger lot was gravel. There were proper washrooms and shaded picnic tables. We waited under a shaded tent for a tractor ride to the orchard. The ride and parking were free. Staff were pleasant throughout (as non-city-dwellers seem to be). Trees were pruned to keep some fruit low enough for picking by hand (maybe this is normal?). Many ladders were also available. There may have been a gift store, but we didn't visit it. This farm focused on efficiency. They wanted to catch more fish, rather than fewer bigger fish. Since we didn't want many cherries, the price didn't matter much. We would have even paid more than retail to pick (and sample) fruit right from the tree. You can't get any fresher than that. Most visitors would expect discounted prices that matched nearby farms. If you ignore the cost of your time and fuel, you can convince yourself that you're "saving" money. The overall experience was wonderful. Beautiful weather. Delicious sweet cherries aplenty. This farm raised expectations, like the dentist. Maybe we'll return when the grapes are ripe. Even a cherry farm can stand out. So can you and your business. Of the three ways to make more money, catching bigger fish leads to the most stories and awe. Even if it gets away --- and big fish tend to escape --- there's still a tale to tell and ears eager to listen. If you've seen Jaws, you've heard that line in reference to catching a shark the size of the movie's antagonist. Since special opportunities are rare, you want to be ready. Your boat needs the right engine, crew and equipment. This takes an investment before you earn revenue. If you're selling a service, you're selling the invisible. What shows matters even more. Compared with what you have, do prospects expect nicer surroundings, faster service, better quality printing, nongeneric email addresses or frequent contact? The list varies depending on your business. You send many subtle but visible clues about whether you belong on the short list of preferred providers. Your clothing matters and even what you drive. You can argue these superficialities ought not matter or you can change to accommodate them. Recently I saw insurance proposals with premiums of $170,000 dollars. The advisor used cheap paper and printed colour content in black & white. That's inconsistent with the target market. So were flubs in a seminar with a $500,000 ticket. Catching bigger fish take proper skills. Where should you upgrade? Are your skills as good as your competitors'? What makes you a better choice? How does anyone know you're good enough? They won't take your word as proof. You'll want visible proof such as testimonials on LinkedIn (not just on your website). Catching bigger fish requires a team. Do you know how to delegate to outsiders? You needn't spend yourself out of business, but you can't look look or feel cheap according to the standards of your target market. You need that little extra like music in your store. Bigger clients have many choices. They rarely need to rush. They may be stuck in their comfort zone with current suppliers. Making an impression won't happen quickly and may not happen at all. The exception is the first impression you create (which may occur when you're not there). If your organization allows, throw away fish that don't meet your profile. This won't work if you're in retail since customers won't appreciate getting shown to the door. When you specialize, you must refuse fish which don't fit your target … even if that hurts your revenue in the short run. Whether you're after whales, elephant or fish, the same principles apply. You need everything in prime working order. There's little tolerance for shortcomings. Your targets won't wait for you to get ready. You may not get a second chance. Eventually bigger fish can become your normal catch. Your success won't be a fluke. Others will eagerly listen to your stories and spread them. Then bigger clients will come to you on their own. That's marketing.